KnowTheOdds’ infographics allow visitors to explore information in an interactive manner. 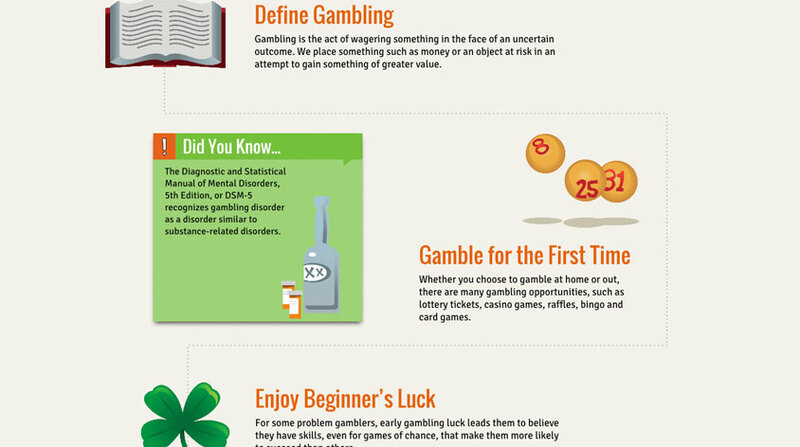 We encourage you to visit the infographics below to learn more about problem gambling, including its risks, its warning signs and how to find help and seek recovery. By educating yourself, you can help teach others and prevent addiction from affecting children and adults in your community. Whether you’re at home, at the grocery store, in your office or out in your neighborhood with your friends and family, you can find plenty of opportunities near you to place bets and try to win money. Unfortunately, gambling can take a toll on your financial situation, as well as your physical health. 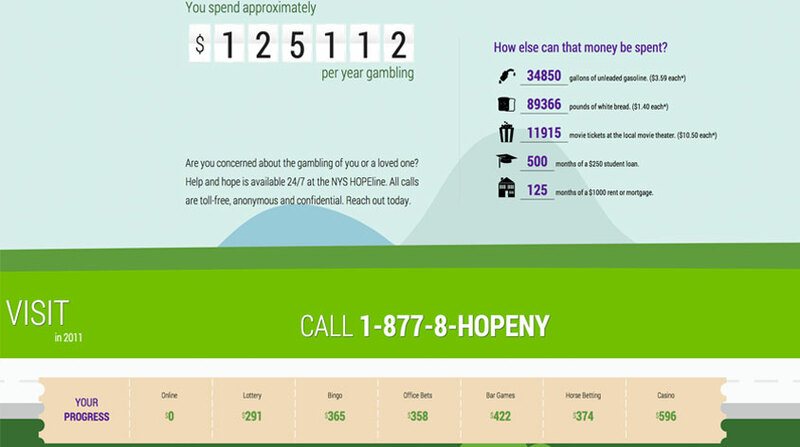 Millions of Americans are financially affected by problem gambling every year. Find out how much money gambling costs you each year with our interactive infographic. Every year, two million adults are estimated to meet the criteria for disordered gambling, while millions more are at risk for problem gambling’s consequences. Unfortunately, few people understand the risks of problem gambling or know what its warning signs look like. Are you familiar with how problem gambling can affect an individual, as well as his or her family members, friends, coworkers and community? Explore the path of problem gambling, and share with others to prevent gambling addiction from affecting people you know.